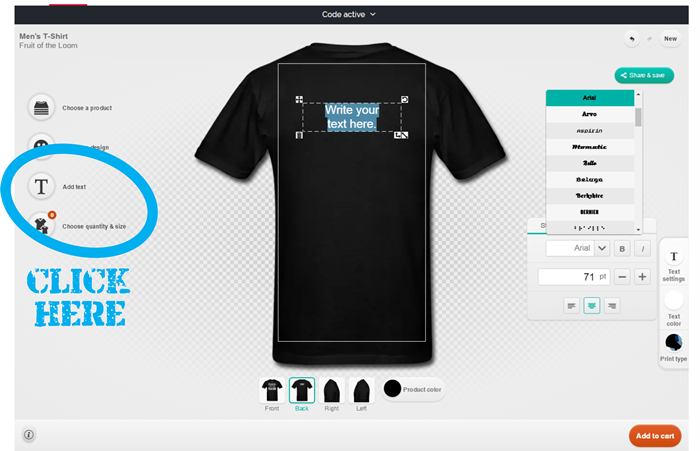 Here’s how to customize your new teacher tshirt so you can personalize them with your grade level team’s names and more. To add names to a shirt, open the product. 2. 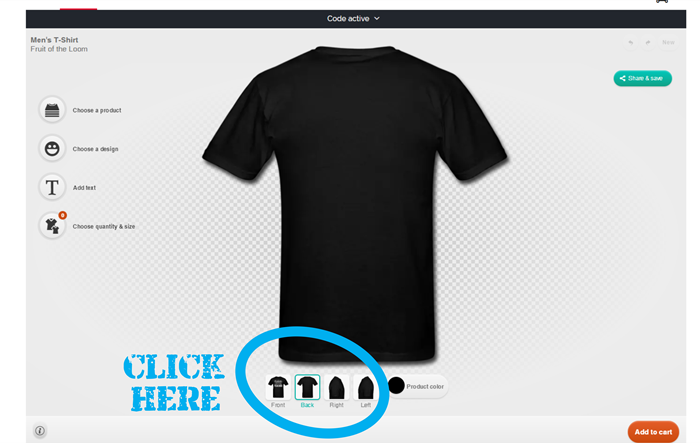 Optional: Click on the “Back” thumbnail view to see the back of the product. 3. 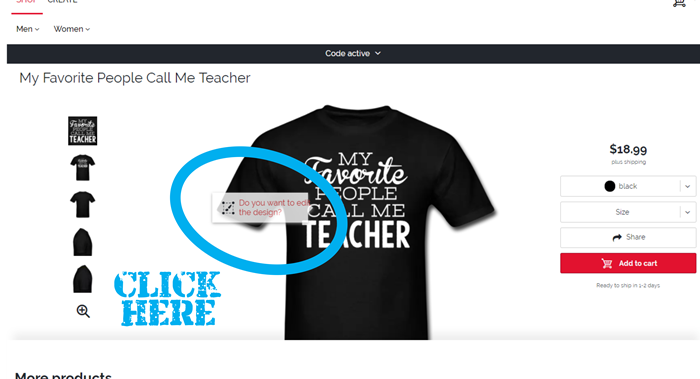 Click on the “Add text” option. A new box will appear with dotted lines around it. Click in the text box to change the text to your desired text.